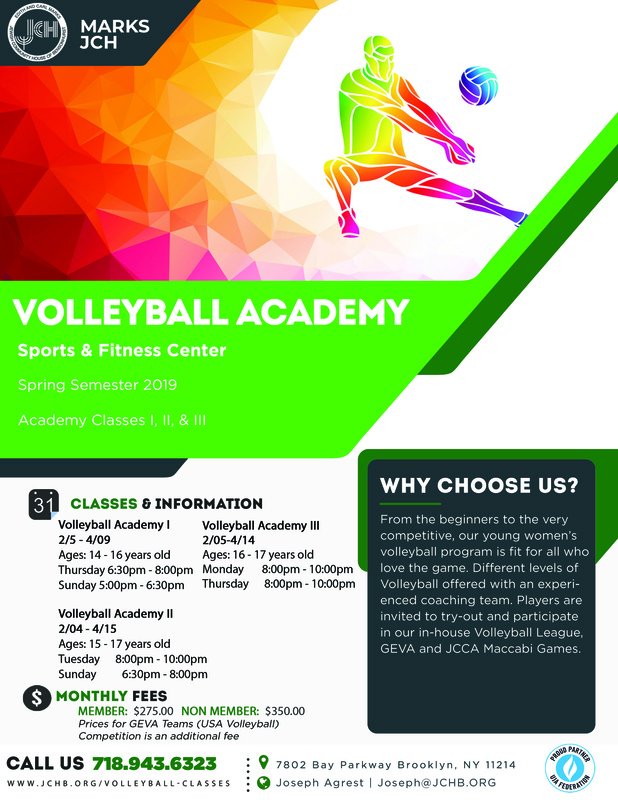 From the beginners to the very competitive, our young women’s volleyball program is fit for all who love the game. 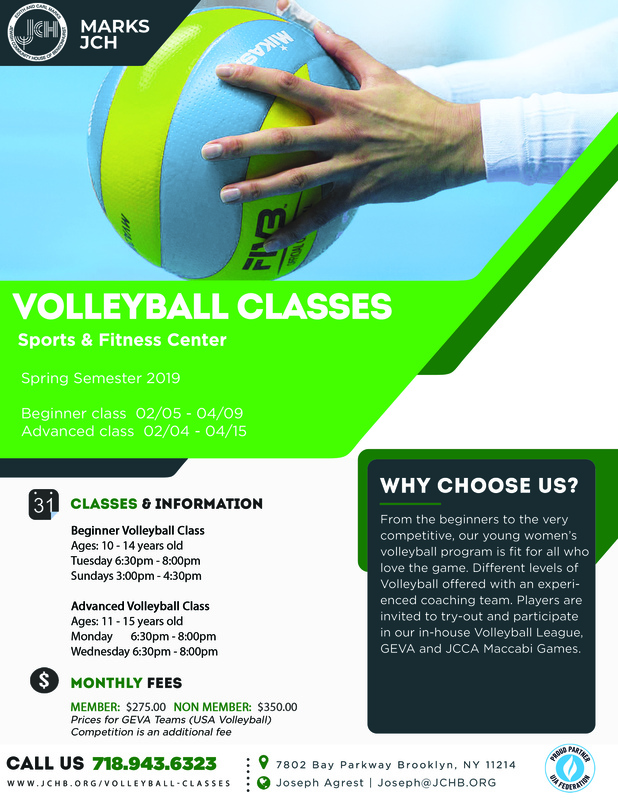 Different levels of Volleyball offered with an experienced coaching team. 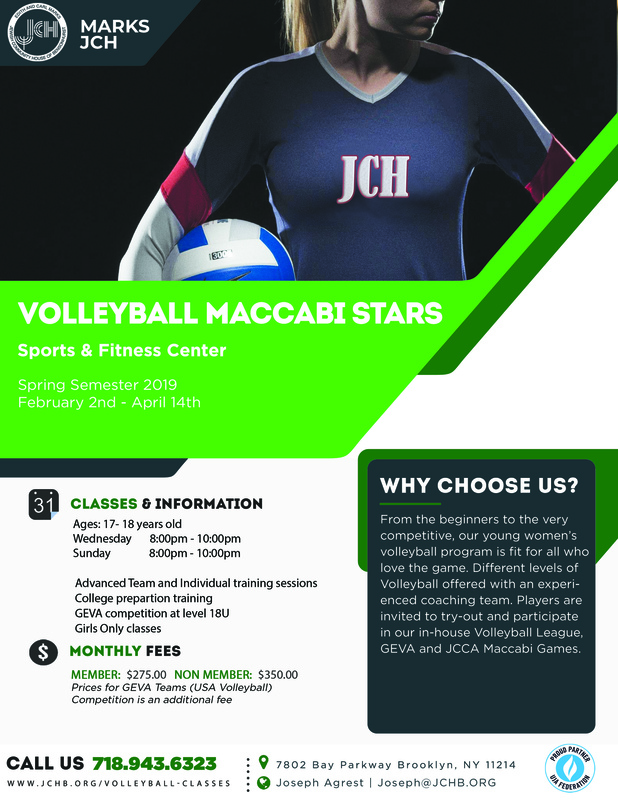 Players are invited to try-out and participate in our in-house Volleyball League, GEVA and JCCA Maccabi Games. Tuition is paid upon registration for each semester. All payments must be made in full at the time of registration. Each semester consists of 20 classes. Classes are 90 minutes long. Membership rates apply to Children and Family members. Please read our payment policies. Our volleyball teams compete in the Garden Empire Volleyball Association (GEVA) junior Olympic leagues. All class participants are encouraged to try-out. JCH teams are consistently among the top performers in the leagues. Please note this is very competitive program that requires travel in the Tri-state area. An in-house league for class participants, alumni and guests is a competitive league.